What is cuter than a baby wrapped in a crochet blanket? Not much. 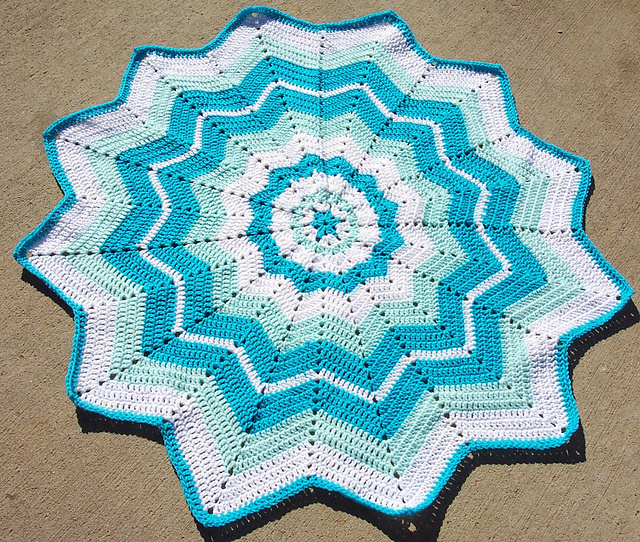 These Round Ripple Baby Blankets are so pretty, you’ll want them as a keepsake forever. This crochet afghan pattern would also look really nice any other color to match the nursery. Round ripple afghans are unique in many ways. They are not square or rectangular which gives them a special star-burst shape that kids and adults both like. 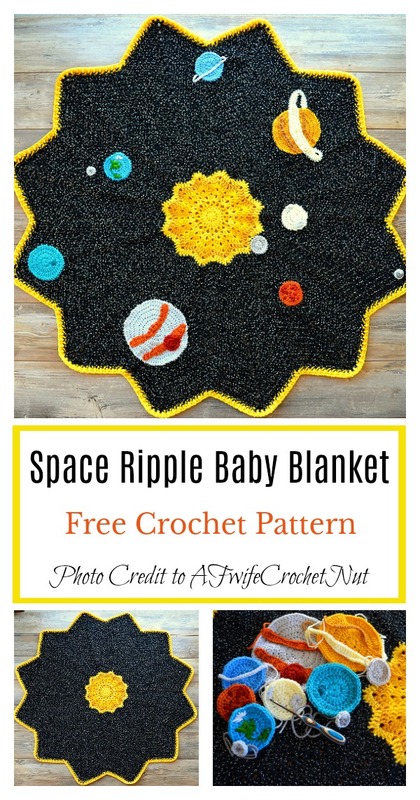 Here are a couple of Round Ripple Afghan Baby Blanket Free Crochet Pattern for you to make them. You can crochet them in pink or blue for the perfect baby gift. You can customize round ripples in a variety of ways to suit your needs. You can increase the size easily just by adding more and more rows. You can also start a round ripple with a coaster, a trivet, a place-mat etc. 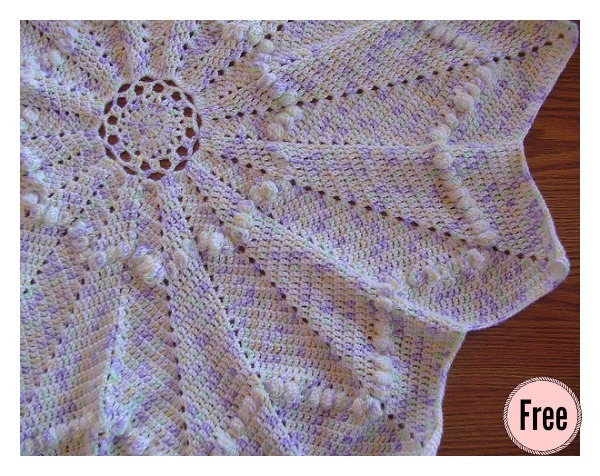 Thanks AFwifeCrochetNut, Woodhill Design and SmoothFox Crochet and Knit for sharing the wonderful free crochet patterns.The links for the free patterns are provided below photos. Happy crocheting.